In Mumbai, whenever anyone mentions queen’s necklace, we are reminded of Marine Drive. But there is one more necklace which I recently discovered in the heart of city, a pink necklace, formed by one of the most beautiful bird found in nature,” the flamingoes”. 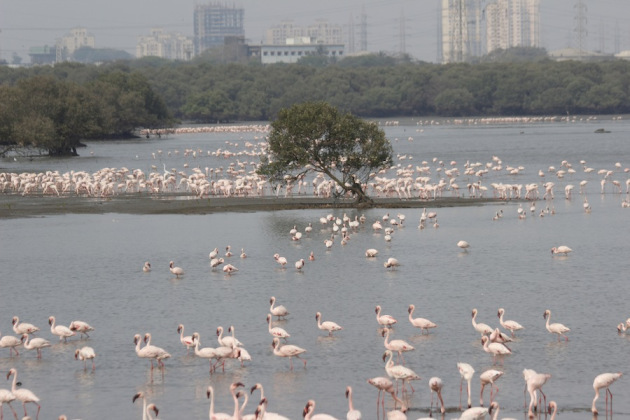 Every year these guests fly from Kutch in Gujarat and stay in Mumbai for around six months. They arrive in November and leave by June but the best time to see them is during January and February, as these months sport the maximum number. Around four years back I got the chance to see them for the first time, when my father who is a nature lover and photographer came to visit us in Mumbai. 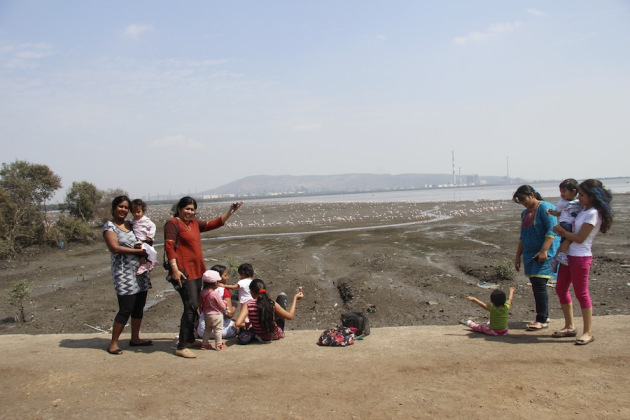 He mentioned Sewri and my husband very sportingly said I would take you there, as I know that area. And as I had assumed after seeing my husband’s overconfidence, we took the wrong road, which was under construction. Somehow we managed to reach near the docks, but found we can’t go ahead. All this effort looked in vain when my husband came up again with a brilliant idea (this time it was really brilliant ). We all got down from our car and he took us for a climb on small hill right opposite at the end of the road. We got the view of the whole creek from top. Although the birds were quite far and looked relatively smaller as were standing on a very high platform, we vowed to come back again. There we came across the Sewri fort, built in 1680, by British. I am sure lot of people may not even know that something like this exists. (It featured in one of the song from Salman Khan movie “Wanted”) But that’s the sad story with our country; most of these old structures are just lying in ruins and no one is doing anything about it. Not even us. Every year we used to go in hope of seeing these beauties from close, but we were disappointed each time, as we always used to go early mornings like other bird watching expeditions. 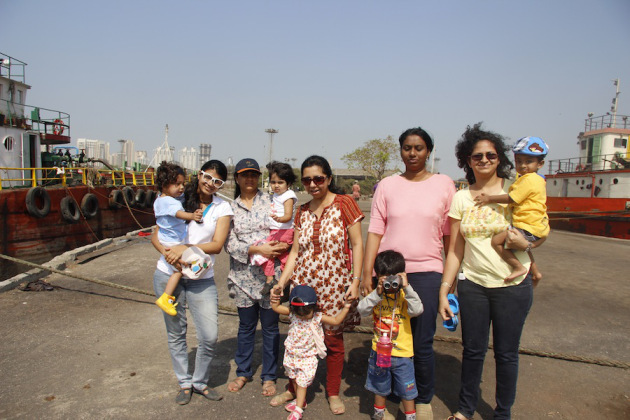 But this year, the effort didn’t go in vain, as my father and husband were present at Sewri docks for a couple of days, observing and studying closely their behavior. This time they realized that three hours before a high tide is the ideal time to go for flamingo watching, as they are closest to the shore. Feeding on the algae and small insects found in the mudflats, you can see thousands of them along the shore. Pink color of their skin comes from the blue green algae, which they eat. They lay eggs on soil mounds in marshy areas, which keep them safe from predators. After they were confident of the time when we should go, they took us along (myself, my two year old son, and my mother). I was little apprehensive at first in taking my son in the afternoon in the hot sun, but all that disappeared when he actually enjoyed the sight. 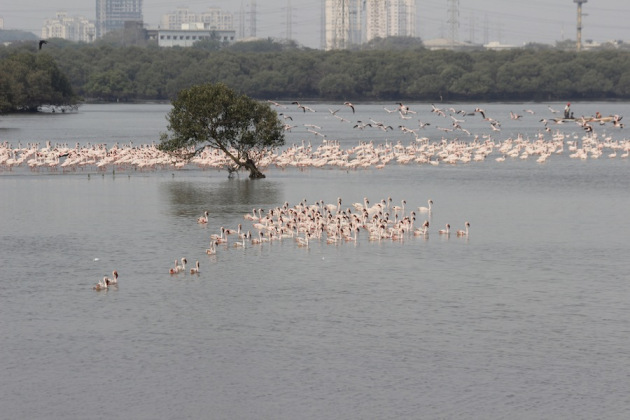 We were welcomed by hundreds of flamingoes, many of them just few meters away. During low tide, they come near shore for feeding. We watched them for a couple of hours eating, swimming and flying away. I was pleasantly surprised when my son recalled his experience, and knew the color of the bird, name of the bird, etc and said he will like to go again.I shared my experience with few friends in my sons’ school and they all were eager to come. Many of them heard about it for the first time. We soon made a plan on a weekend. We were a group of around fifteen people (mommies and babies, around 1 and a half to two years of age), went for bird watching at twelve noon. But I have to say; all of them had a great time. All the friends promised to get their families back to watch the splendor. Then there was no looking back. We again went for our adventure with a new set of friends and relatives. And as expected, they too loved the experience. It’s true that no age is too early to expose our kids to these wonders of nature. In fact it is very important to make them aware as they share a big responsibility of saving innumerable number of such species, which are nearing extinction, at the hands of mankind. An Interior Designer by profession, she has a creat0ive mind that works 24*7 be it in form of art, interiors or graphic. Her love for nature developed since childhood while exploring various places with her family across the country. Passionate about travelling especially wildlife, she believes in promoting eco-tourism and conservation of nature and understands the importance and need of instilling love for nature at a young age in children. Based in Mumbai, her expertise comes from her experience in nurturing her own son into a wildlife and nature lover at a young age of four. 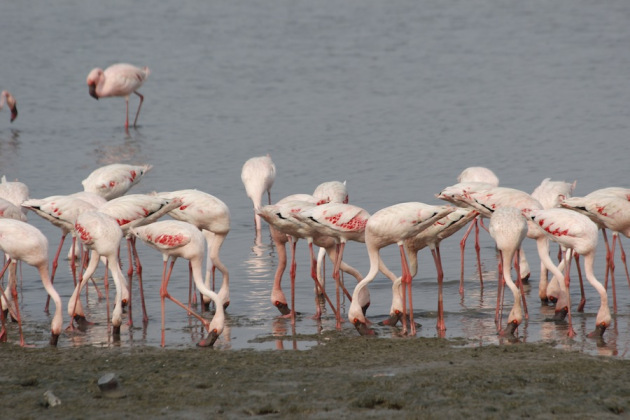 Apart from helping in planning outdoor wildlife tours, she conducts various nature related day trips in and around Mumbai.